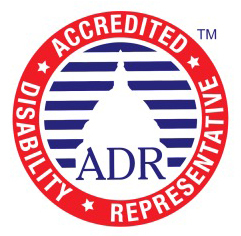 Disability Specialist Center, LLC is a Social Security Disability Advocacy company based in Michigan. It provides Social Security Disability Claim Assistance and representation to clients within the state. The experienced Advocate assigned to each client is well-versed in the disability claims process, and will guide clients throughout the entire process. For some, filing for a disability claim is a humiliating experience, but there is no shame in admitting that you and your family urgently need all the help you can get. Disability Specialist Center not only represents you in the claims process, but also respects your dignity as a person, regardless of your disabilities. The experienced Advocate working with you will work hard to try to secure a successful disability claim for you. Advocates here have been serving clients with their disability claims for 20 years. They have helped numerous individuals claim their rightful benefits. When Disability Specialist Center, LLC takes on a new client, the company draws upon its knowledge and years of experience to properly address the needs of its clients. It is the company’s mission to advocate for its clients in the most professional, committed, and personal manner possible. Disability Specialist Center believes in truly helping those whose disabilities have adversely affected their quality of life. The advocates here will always take the side of its clients, and will work hard to try to secure your benefits for you. To work toward this objective, the company actively helps clients navigate the Social Security Disability benefits process. Disability Specialist Center handles both the Social Security Disability Insurance (SSDI) and Supplemental Security Income (SSI) claims. During the entire application and appeals process, the advocate will serve as the representative to their clients, pleading on their behalf. Why Should You Hire Disability Specialist Center, LLC? It is no secret that applying for disability benefits with Social Security can be a frustrating experience. Applicants end up waiting for months for SSA to determine their eligibility, and even when a decision has been made, it might not be in the applicant’s favor. It is Disability Specialist Center’s job to make the entire process less troublesome for you, and improve your chances of winning a claim. Studies suggest that claimants have a higher chance of winning disability benefits if they have a professional representing them during the appeals process. While Disability Specialist Center does not promise results, it is more than willing to do everything in its power to help you be successful in your claim.